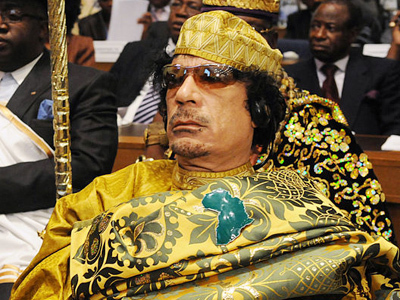 An international military operation against Libyan leader Muammar Gaddafi’s regime may start within hours. Libya's foreign minister says his country accepts the UN resolution for immediate ceasefire and will halt all military action. 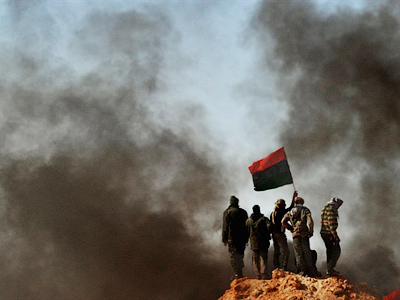 A diplomatic source in London told Itar-Tass news agency that the international forces with a UN mandate may strike Libya in the coming hours. 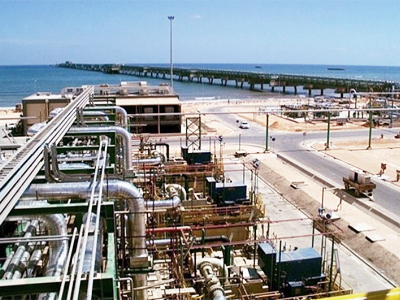 The unnamed source said that a plan of operation against Libya has been under development by the military for about a week on the orders of some EU member states’ authorities. “We are ready,” the source said, adding that the first strikes could be carried out by a military unit which includes British, French and Saudi Arabian planes. The source also pointed out that the UN resolution allows bombing surface targets, including groups of tanks and infantry, to protect major built-up areas. It is expected that the UN Security Council’s resolution will be approved at Friday’s NATO emergency meeting. Before the meeting, the organization’s spokesperson Oana Lungescu said the alliance is ready for action in Libya, if all necessary conditions are fulfilled. "For any NATO operation, there needs to be a demonstrable need for the alliance to act, firm regional support and a clear legal basis," Oana Lungescu said. "Under those three conditions, NATO stands ready to act as part of the broad international effort." Earlier a source in NATO told Ria Novosti news agency that the organization is ready to fulfill precise air strikes on Libyan territory. The source said the appropriate military planning has already been done and added that the air strikes will be carried out by US, British, French and Canadian planes. The Obama administration has developed a plan to block the airspace over Libya and the alliance’s planes may appear over the country on Sunday or Monday, Interfax news agency reports. NATO has begun monitoring Libya’s airspace around the clock with the help of airborne warning and control system (AWACS). NATO allies have been divided about military action in Libya, with Germany and Turkey being against it. Italy is ready to make its military bases available to enforce the UN resolution to impose a no-fly zone over Libya, an Italian government source told Reuters on Thursday, adding that “it is a positive development.” The Italian airbase at Sigonella in Sicily is one of the closest NATO bases to Libya. British Prime Minister David Cameron said that the goal of the no-fly zone is saving lives, not choosing the government of Libya, reports the Associated Press. 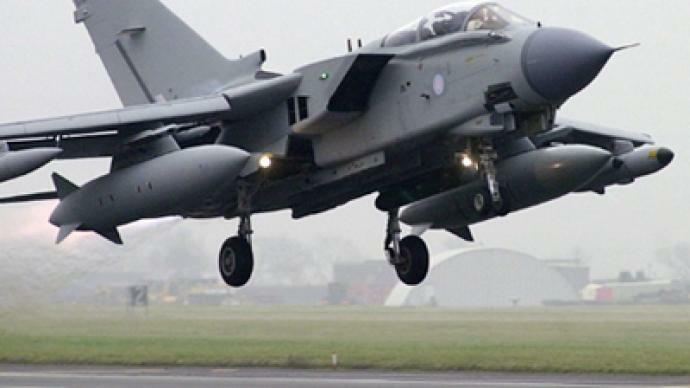 It has been reported that Britain will send Tornado and Typhoon aircraft to enforce the no-fly zone over Libya. “That includes ensuring prompt treatment of the [UN] resolution in parliament, so that Denmark can deploy its four F-16 fighter jets,” she said as quoted by the Copenhagen Post. 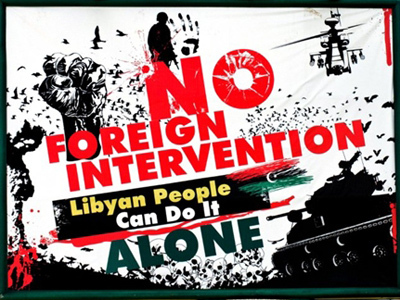 Chief of the General Staff of the Russian Armed Forces, Nikolay Makarov, said the possibility of Russia’s participation in military actions against Libya has been ruled out. 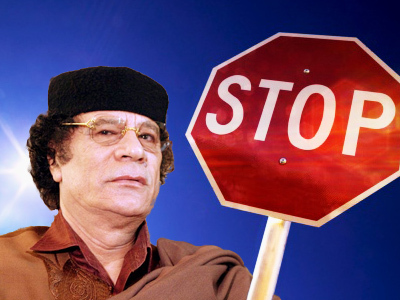 Meanwhile, Libya declared it has closed its air space. Libya’s Defense Ministry has said that Libya is ready to immediately strike back in case of any military action against it. Saif al Islam said they are not going to storm opposition-held Benghazi “for humanitarian reasons,” Itar-Tass news agency reported. The authorities want to help Libyans who appear trapped in Benghazi to escape the surrounded city, Saif said. 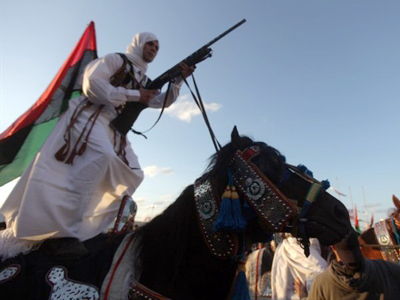 He added that only police and anti-terror units will be sent to Benghazi to disarm opposition supporters. An International Criminal Court (ICC) prosecutor says if the Libyan government indiscriminately attacks civilians in Benghazi, it could constitute war crimes. Egypt's military has begun shipping small arms such as assault rifles and ammunition to Libyan rebels – with Washington’s knowledge, The Wall Street Journal reported on Friday with reference to US and Libyan rebel officials. 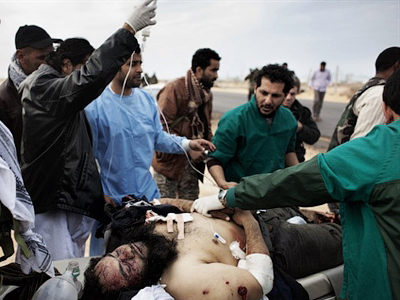 Gaddafi’s forces have recently shelled the city of Misurata about 200km east of Tripoli. Al Arabiya channel says four people were killed and more than 70 injured there. The eye witnesses say Gaddafi forces used tanks and heavy artillery.